In 2017, I had the privilege to curate an exhibition of Franki Raffles’ (1955-94) work. This project is in partnership with Dr Alistair Scott (Franki Raffles Archive Project, Edinburgh Napier University) and is supported by St Andrews Special Collections. 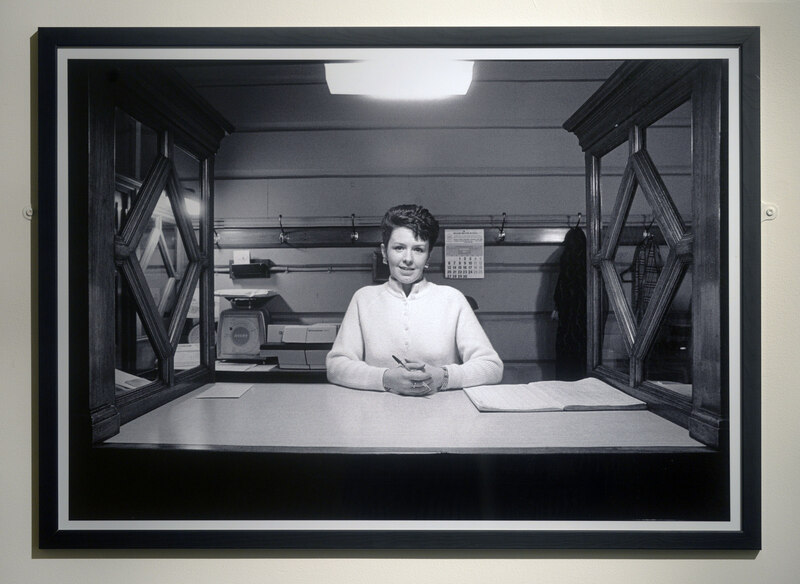 Franki Raffles was a feminist social documentary photographer. A new publication accompanies the exhibition ‘Observing Women at Work’ in the Reid Gallery, The Glasgow School of Art (4 March – 27 April 2017). 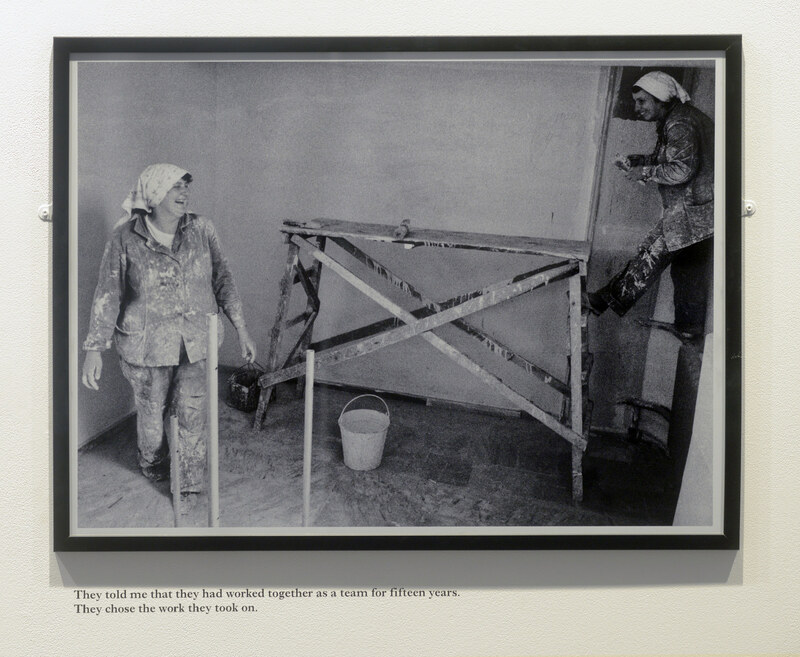 The exhibition presents a selection of black and white photographs and material by Franki Raffles namely ‘Women Workers in the USSR’ (1989)’, ‘To Let You Understand…’ (1988) and material from the first ‘Zero Tolerance’ campaign (1992), entitled ‘Prevalence’. Zero Tolerance was developed as a ground-breaking campaign to raise awareness of the issue of men’s violence against women and children. 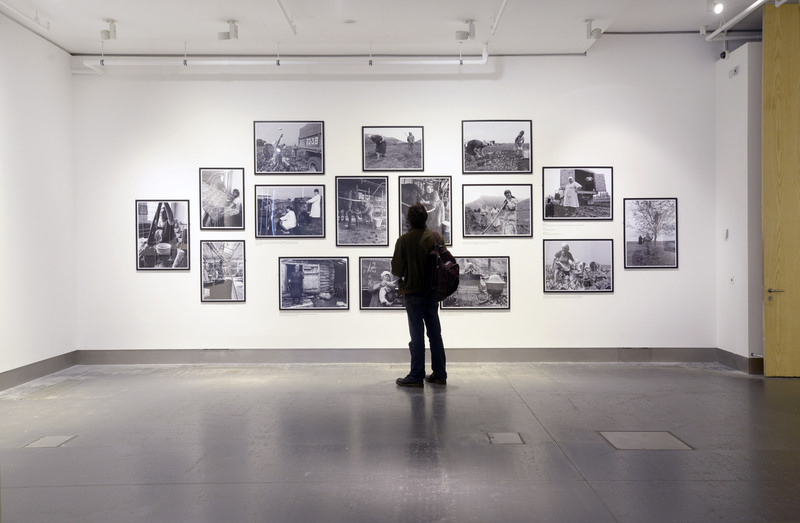 See documentation of the exhibition here. 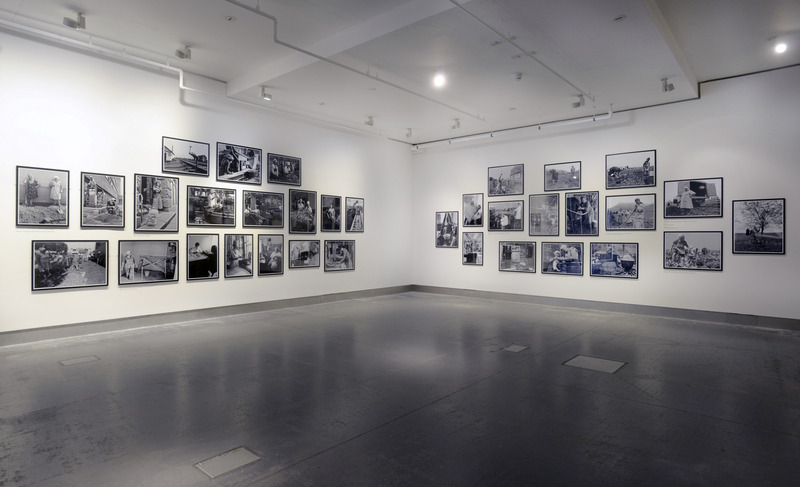 Installation shot, ‘Observing Women at Work: Franki Raffles’, Reid Gallery, The Glasgow School of Art (2017). Photo: Alan Dimmick. My essay is on P33-40 of the new publication ‘OBSERVING WOMEN AT WORK: Franki Raffles’. The book is published by The Glasgow School of Art with support from Franki Raffles Archive Project, Edinburgh Napier University and contains an introduction by Sarah Munro (Director, Baltic Centre for Contemporary Art) essays by Jenny Brownrigg (GSA Exhibitions Director, curator of this exhibition) and Dr Alistair Scott (Edinburgh Napier University, The Franki Raffles Archive). 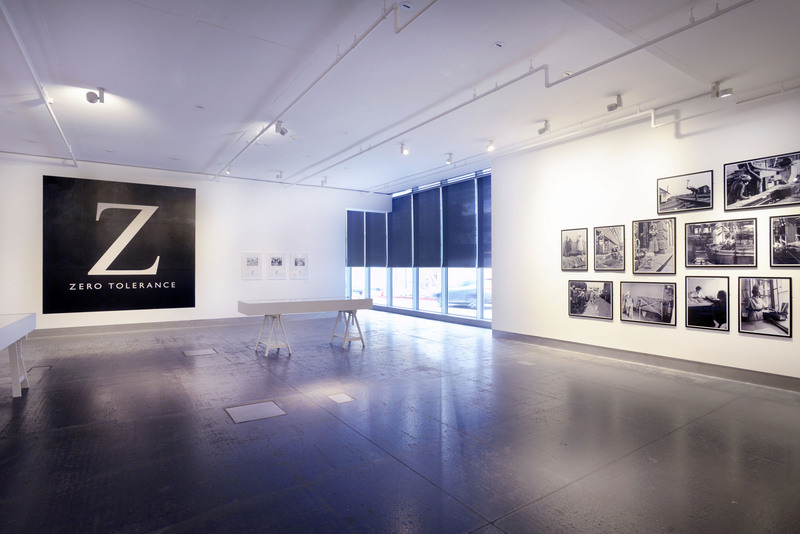 The photographs are held by University of St Andrews Library Special Collections Division. Looking back over the quotations gathered for this City of Edinburgh District Council Women’s Committee commission, they concentrate on high unemployment statistics for school leavers; impending privatisation (at the time the publication was written, this related to British Steel, water and electricity following the sell-off of utilities such as British Telecom and British Gas); low pay; childcare issues, particularly free nursery places; income support; inadequate NHS funding; equal opportunities; and employee protection rights. Fast-forward 29 years to 2017, following Thatcher, New Labour and into the economic uncertainty of BREXIT, Raffles’ work continues to be relevant to present-day working conditions and debates. The destination of many school leavers and graduates continues to be the Job Centre; sections of the NHS are being quietly privatised; the high cost of childcare still impacts greatly on income; and zero hour contracts create often precarious working conditions. 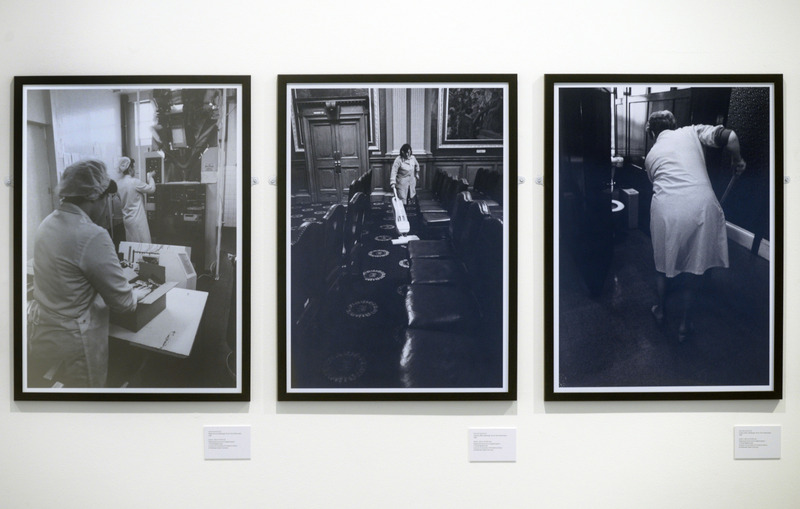 Viewing Raffles’ work in black-and-white from our current decade is not in any way a nostalgic activity. The book can be purchased from GSA Shop for £7. ISBN: 9780956764669 Dimensions: 21 x 14.8 cm Materials: paperback Designed by Maeve Redmond, 52 pages, edition 300.